I always get very excited when I find new shoes. 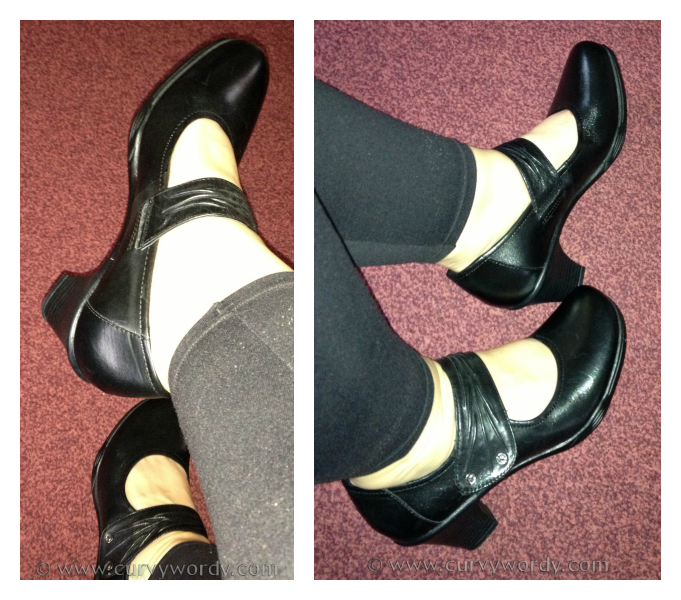 That’s because my feet make it very difficult to get a good fit, as I discussed in this post. On a recent trip to Bluewater shopping centre in Kent, I popped into the Barratts store. Once upon a time, Barratts stores could be found on every high street, but in recent years the company has had to adapt to meet the needs of online shoppers, whilst experiencing a reduced presence in some towns. However, there are still a number of stores around, and you can find your nearest one by using the Barratts store locator on their website. I initially tried a size 5 but they were too tight. As soon as I tried the size 6 on I knew they were right for me. They were comfortable, stylish and adaptable. Perfect! 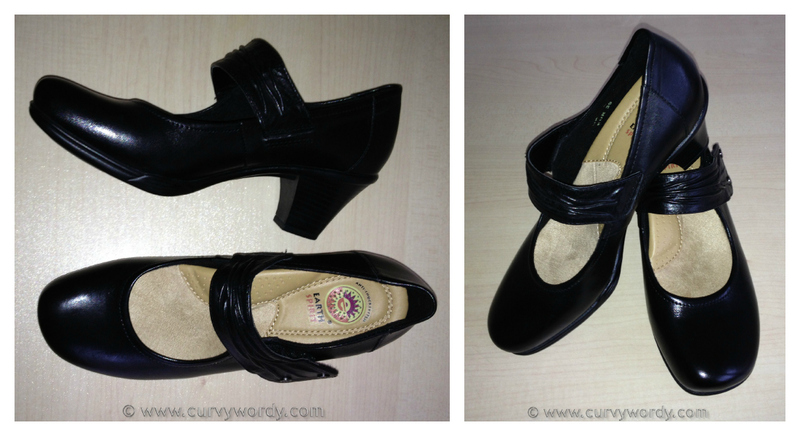 The shoes fasten with a velcro strap over the foot – perfect for people like me who can very rarely find open shoes that stay on my feet! The strap is nice and wide so it doesn’t cut in or rub at all. The soles of the shoes have a small platform, which means there is some padding between the ground and the bottom of my foot – something I always welcome! Inside the shoes there are several comfort features. First of all, the lining (or ‘sock’) is made from leather and suede, which is so good for keeping feet cool and preventing rubbing. There is also a lot of padding underneath the sock, making the footbed soft and comfy. I feel like I could walk all day in these shoes and not feel even the slightest hint of discomfort. The heel is approximately 2 inches high, so not too much for those (like me) who don’t do too well in high heels, but enough to look feminine and formal. 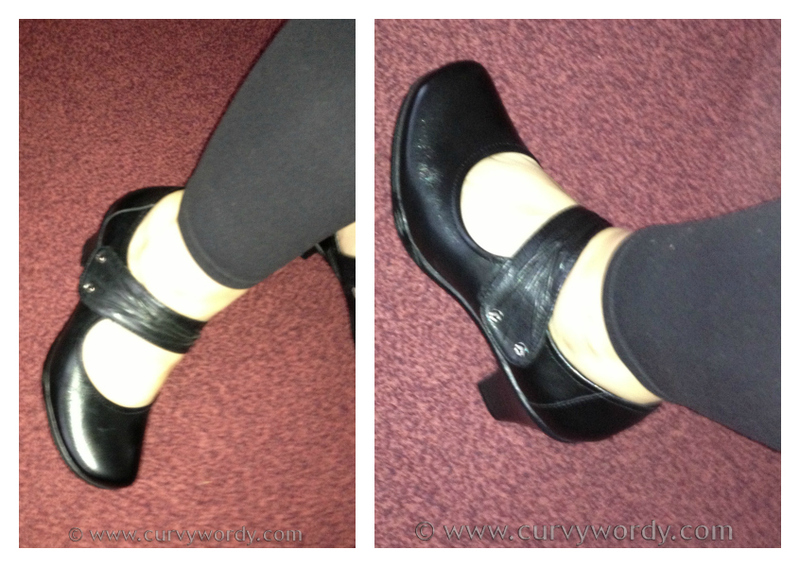 I tried these shoes on with my usual Maidenform leggings but I think they would also look great with any of my dresses, but in particular my Collectif Dolores Doll Polka Dot Dress. At only £35 instore, I thought these shoes were a bargain as the original selling price was £50. However I see they are now available for only £30 online – even better! 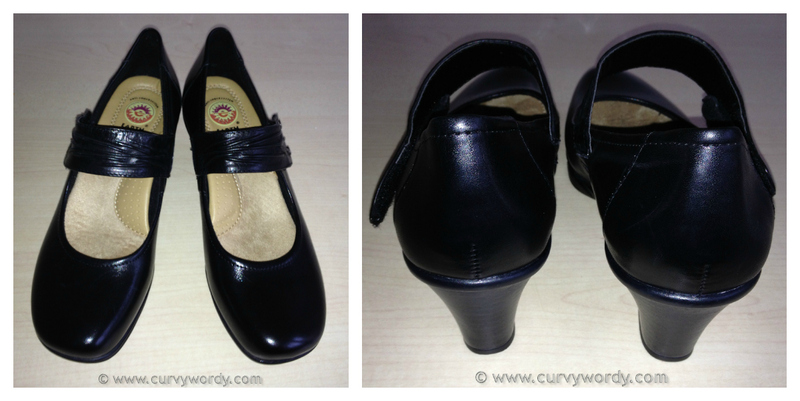 Thanks to your wonderful review I went to my nearest Barrets and managed to get a pair in the sale too. Thank you!